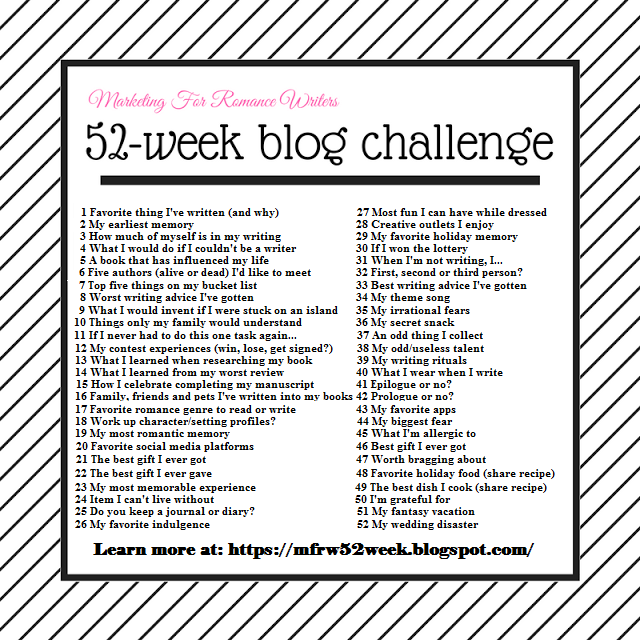 This week we’re talking about writing rituals in the blog challenge. The thing is… I don’t think I have one I use consistently. I don’t rub a statue or blow kisses to the writing gods or open things in a certain order. I don’t have lucky socks or have to talk to my mom before I start or anything like that. Especially during the first draft process, getting an hour a day to sprint with my BFF guarantees I get words on paper regularly. Best invention ever for someone with ADD because I can multitask in a way that doesn’t detract from either activity. I walk and write at the same time. I do this for at least 1 hour (often when sprinting with Nic). It helps me stay on target. I live for the second draft when I get to make the story good. My first draft is simply to get the bare bones of the story on paper. Typically, I don’t go back and second draft it–fix and fluff–until first draft is completely done. Lately, though I’ve been second drafting a scene at a time, which is giving me a more complete book when I’m done. We’ll see if I stick to that. Lol. There is at least one (usually several) guaranteed moments where I decide that what I’m writing is pure drivel, all my readers will definitely figure out that I am NOT a writer, and this it it. The end. Usually this comes mid-way through 1st draft. Beyond that, ever book is different. I will be really curious to see what writing rituals my fellow authors in the blog challenge share. Other authors, do you have any? I’m intrigued by the treadmill desk. Is it noisy?